If you’re searching for an acupuncturist in New York in and around the Brooklyn, Staten Island and Manhattan neighborhoods, Seitai Acupuncture provides convenient, effective and affordable treatments. Our acupuncture specialists are available in three locations for your convenience. In Staten Island, we are located at 1658 Hylan Blvd. This location is open Wednesdays and Fridays to fit your wellness needs. In Manhattan, you can find us at 24 Maiden Lane on the 3rd floor. This office provides care Mondays through Fridays with lunch and evening hours for your work-day convenience. Our Brooklyn location is 174 Bay 29th Street and is open Mondays through Thursdays. Our three acupuncturists take pride in caring for you. We develop a personalized approach to meet your health and wellness needs. Whether you are suffering from headaches, neck pain, back pain, knee pain, anxiety, depression, infertility or low back pain, acupuncture treatments are a healthy alternative to traditional medicine. At our Brooklyn, Staten Island and Manhattan locations, we seek to restore your body into balance and harmony. As we do this, your body begins to heal and reduce pain. Our three acupuncturists may also speak with you about combining needle acupuncture with herbal supplements to further your health and wellness. You do not have to live with pain in your neck, back, knee or head. Our acupuncturists have seen much success through the gentle needle treatments. Our health team wants you to live a pain-free life that is not limited by worry or anxiety. We also are delighted to help you with your fertility needs by increasing energy and circulation throughout your body. We are able to restore hormonal balance to assist you with conception. Our office locations and hours make it easy to schedule an acupuncture treatment into your weekly routine. Our friendly staff is available to assist you with your scheduling and financial needs. We accept a variety of insurances and cash to cover your treatments. As your health improves, we will adjust the frequency of your visits. Schedule An Appointment With Our Acupuncturists in Brooklyn, Staten Island and Manhattan! 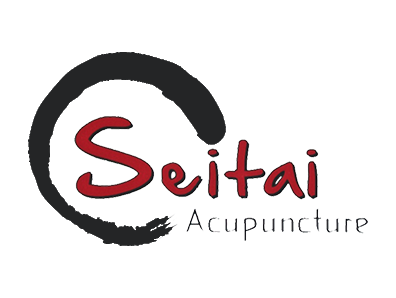 Seitai Acupuncture focuses on, Japanese Acupuncture and Japanese Kampo to restore your body to optimal health. If you are new to receiving acupuncture or are curious to learn more about our process, please contact us. We want your first visit to be an enjoyable one that is free of concerns. Many question whether acupuncture is painful. Our goal is to make the experience as gentle and effective as possible with an overall target of alleviating your pain. Our acupuncturists are careful to keep your personal goals in mind and work with you to determine the best approach for your health. To schedule an appointment in Staten Island, please call us at 347-861-0909 or 917-475-1840. If you would like an appointment in our Brooklyn or Manhattan locations, please contact us at 917-475-1840. Our staff will assist you in coordinating your schedule to meet your needs.